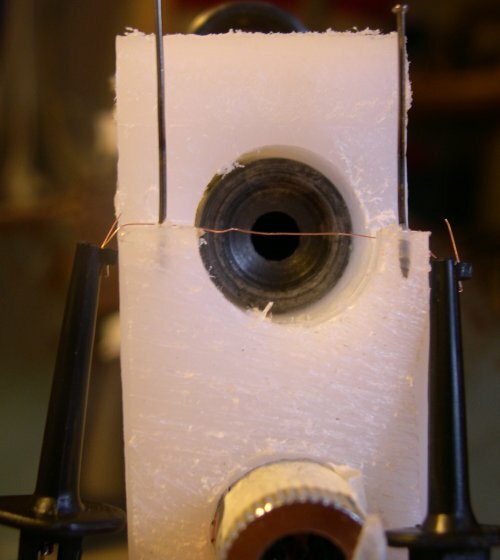 Arduino controlling a disposable camera flash, triggered by a air gun pellet breaking a thin wire. 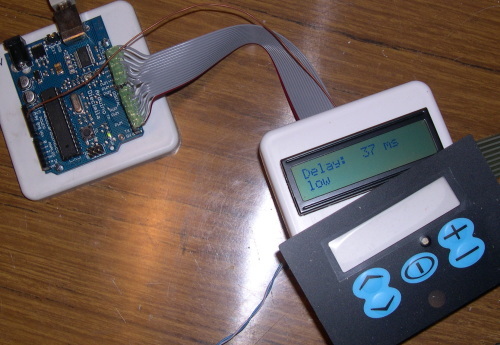 Pin 3 on the Arduino is connected to a TIC106 thyristor, controlling the flash. 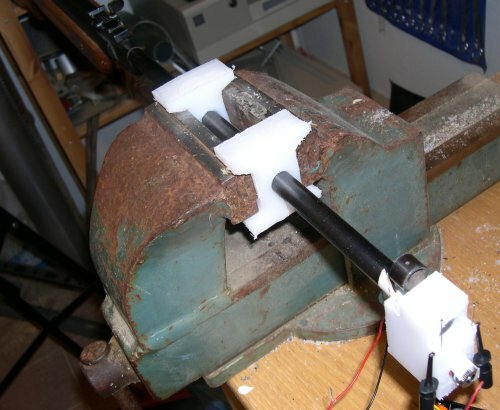 The air rifle is clamped in a vise using custom milled plastic spacers. Kiwi, with 2 1/1000 seconds shorter delay than most other pictures. 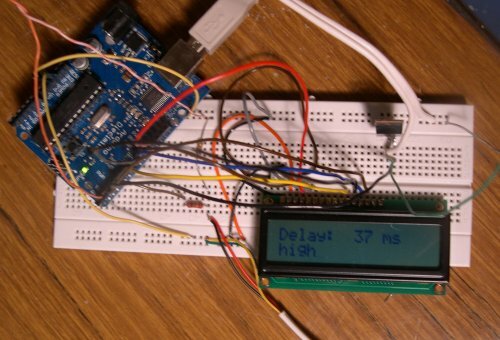 Arduino code, still in some development. delay(200); //short time high om the output, to trigger triac to flash.